The 1950’s proved to be very turbulent years for the Lebanese Republic as a nation, which engulfed various political skirmishes that unveiled the fragility that lied beneath Lebanon’s political system and demographics. Following the 1949 coup d'état in Syria that ousted President Shukri al-Quwatli and Prime Minster Jameel Mardam, both who were close allies of Lebanese President Bshara al-Khoury and Prime Minister Riad al-Solh; the dream of a Greater Syria encompassing Lebanon and Syria began to fade away in the conscience of those who supported unification. This was further implemented after the execution of the Syrian Socialist Nationalist Party's (SSNP) leader Antoun Saadeh following allegations of treason. The new Syrian regime aggravated this reality with many polices it had taken, which physically triggered economic and political diversion between the two nations. This would begin the diversion of Lebanese and Syrian politics, which up to that point were much unilateral. The Baath party and the SSNP were among the first indicators of political division between Lebanon and Syria. On the ideological stage however, the Baath parties in Iraq, Lebanon and Syria preserved the Pan-Arabist ideology of a united Arab nation, while the SSNP in the Lebanese and Syrian parliaments advocated Pan-Syrianism. On the economic scale, the Bank of Syria still issued the Lebanese Pound (Lira), however unlike before, the Lebanese Lira was now clearly distinguished from the Syrian Lira by printing a different bank note which depicted images within Lebanon’s major touristic sites. Unlike Lebanon, Beirut was spoiled by the 1950's, which witnessed a sudden and significant influx of foreign money in the Lebanese capital allowing banks and the economy to flourish on some ends. It has even been contested that this injection of money had led: 'to the creation of the Middle East’s very own piece of La Dolce Vita on the Mediterranean.' The population in 1951 was roughly under 190,000, yet this number was soon to boom throughout the extravagant decade Beirut was to witness. Ras Beirut, Ain El-Mrayseh and Minet El-Hosn witnessed an invasion of luxurious buildings and five star hotels along new nightclubs that truly reflect on Lebanon’s identity as the gateway between the East and West, the Western World and the Arab World. Each Quarter of Beirut began to shape its unique identity contributing to the glory that is Beirut. Outside of the wealthy Quarters of Beirut, many vital institutes and structures were built. In 1951, the Lebanese University was opened in El-Hadath just on Beirut’s outskirts while the Lycée Franco-Libanais Verdun was opened in Verdun, between the Ras Beirut and Msaytbeh Quarters. This gave access to education across a greater population within the Lebanese capital city, which significantly increased the literacy rate of the undeveloped Quarters of Beirut. In 1952, Kamel Mruwweh founded the Daily Star Newspaper as a newspaper for Lebanese expatriates living abroad, due to the great number of Lebanese who were leaving to neighbouring Arab states to contribute in their development. Moreover, the Beirut International Airport officially opened in 1954, exponentially increasing the rate of tourism in Beirut. The same year also witnessed Beirut’s municipal elections which resulted in the appointment of George Assi as Beirut’s new Governor replacing Nkoula Rizkallah. 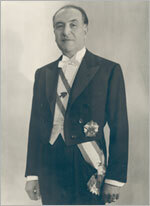 Assi would be succeeded by Bashour Haddad in 1956, who would also be succeeded by Felipe Boulos in 1959, which reflected on Lebanon’s political fragility. This was in contrast to the resignationof Bshara al-Khoury, who was supplanted by Camille Shamoun earlier in the 1950's. Shamoun’s contribution to Lebanon was reflected with the opening of the Camille Shamoun Sports City Stadium in 1957, which was named after him in gratitude of his input. In Ras Beirut, Hamra Street became the beating heart of the Quarter leading to a modern revival of Ras Beirut as an upscale luxurious Quarter of Beirut. Many hotels became renowned worldwide such as the Mayflower Hotel and the Commodore Hotel which provided suites with a 360 degree view of Beirut’s skyline and Lebanon’s picturesque landscape. A resident could enjoy the beauty of Beirut, while bathing in a 7th floor suite’s jacuzzi in Mayflower Hotel on a Lebanese night. Ras Beirut became the cultural and intellectual hub of Beirut offering emporiums of residences, banks, galleries, cinemas and theatres; from the Strand Al-Hamra to Cinema Hamra followed by other amenities: the Horseshoe café, City Café, Café Hamra, the ABC fashion retailer and the Aiglon. Streets within Ras Beirut began to compete on various levels. For example, Makdissi Street and Hamra Street began competing on a touristic level where bars rapidly sprung up in both areas providing an outstanding nightlife experience with an oriental hint. Hamra’s cultural halo attracted some of the Arab World’s most renowned poets and artists such as Mohamad Abdul Wahab, Nizar Kabbani, Warda, Abdul Wahab Bayati, Ghada Samman and Badr Shaker al-Seyab. On an intellectual level Hamra Street’s theatres and galleries competed with Bliss Street’s American University of Beirut. The abundance of cultural, commercial and touristic infrastructure dwarfed the presence of the scarce churches and mosques, making them very outstanding. One of these is Al-Daouk Mosque in Bliss Street, which then became ‘the mosque’ in Bliss Street given that it was the only proximate mosque within the vicinity. While Ras Beirut thrived, it did not prevent other Quarters from also doing so. As Hamra Street prospered, Ain El-Mrayseh witnessed its crescendo in the 1950’s where existing attractions developed to a level of international competition. While the prominence of Saint George was prevalent, other new luxury hotels sprung up at unprecedented rates offering great extravagances, not by Lebanese standards but by international standards. This led to the construction of great hotels such as the Phoenicia Hotel, which would be opened later in the 1960’s. In 1954 business mogul Najib Salha founded La Société des Grands Hotels du Liban, a company which sought to institutionalise the management and standard of hotels in Lebanon, whereby Beirut will be able to accommodate businessmen, celebrities, politicians and royals with a renowned lavished standard. Ain El-Mrayseh's reputation became that of what the wealthiest of people would expect from a modern city; the yachts and boats filled the Zaitounah beach side adjacent to Saint George. The Quarter became a destination for the finest of millionaires and royals, which included the monarchs of the Gulf states. In 1958, Beirut’s population had skyrocketed to 405,000 as a result of the economic prosperity the city was undergoing. However, Shamoun’s policies like Bshara al-Khoury before him, led to controversy among the leftists in 1958 following his rejection of breaking diplomatic ties with the Western powers after attacking Egypt during the Suez Crisis. Egyptian President Gamal Abdel Nasser felt that Lebanon’s diplomatic support was vital for Egypt and Syria’s Pan-Arab aspirations, especially following the enactment of the Baghdad Pact in 1955, which allowed for foreign hegemony over the Arab states bound by the agreement. Fearing the Western threat to Pan-Arabism, Prime Minister Rashid Karami sided with Abdel Nasser. The internal and external unrest led Shamoun to request military aid from the United States by a US-led invasion of Beirut until his term ended in 1958. Following the election of Emir Fouad Shehab that year, the US Marines withdrew from Beirut, and the city resumed normal life. Shehab aided the Tele Liban program which successfully resulted with the founding of Lebanon’s national television ‘Tele Liban’ in 1959. That year, Al Anwar newspaper also began publication for the first time after being founded by Said Frayhat and managed by Dar Assayad in Hazmieh. The newspaper however raised controversy over Egypt and Syria’s (now unified as the United Arab Republic) ideological hegemony over Lebanon since the publisher was the first Pan-Arab magazine and newspaper in Lebanon. However, this was uncondemning to Shehab who himself was an advocate of Abdel Nasser and Pan-Arabism. While many thought that Beirut and Lebanon’s golden age had ended following the 1958 Crisis, little did everyone know that the next decade would bring even greater riches to the prosperous nation of The Lebanon.